It’s not only critical, but also a challenge to quickly find the right coverage at the right price. It doesn’t have to be, because eContractors Insurance has been in the Construction Insurance Industry for over 20 years. Additionally, we bring experience and expertise to every policy we bind. Coupled with our specialized agents, we can quickly help you find the right policy and coverage you need. 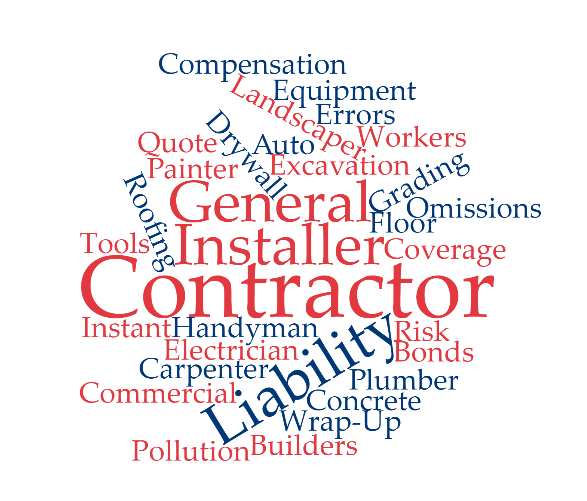 We are able to help you, regardless if you are a General Contractor, Electrician, Roofer or Plumber. What makes us different? It is the latest technology we use to generate a quick quote when you fill out our quick quote form. After this first step, most policies can be bound in minutes once the quick quote form is filled out.